Johnson Controls, the global leader in lead-acid automotive batteries, is launching the next generation of the VARTA Start-Stop Service Program (VSSP 2.1) onto the market. 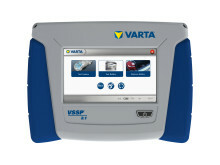 The expanded VSSP 2.1 enables workshops to carry out all battery replacements in a quick and straightforward manner. 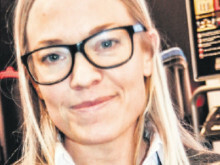 Thanks to the new integrated offline function, the device can operate without an internet connection, enabling flexible usage in every workshop. With quicker, optimised menu navigation and illustrated replacement instructions, complex battery replacements can be carried out in a user-friendly manner. Changing a Start-Stop battery represents a major challenge for workshops. The battery is closely integrated with the on-board electrical system in order to support battery-powered CO2 and comfort functions. Carrying out the diagnosis, memory reset and re-registration of the battery in the vehicle electrical system is equally complicated. Other challenges include the various installation positions in the vehicle and choosing exactly the right replacement battery. 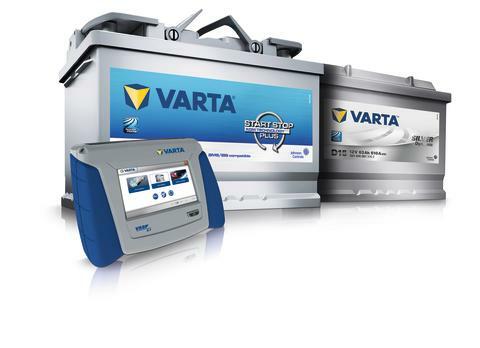 “With the next generation of the VARTA Start-Stop Service Program, we are providing the market with a comprehensive solution for battery servicing,” says Ruben Gomez Fernandez, Marketing Director of Johnson Controls Power Solutions EMEA. “VSSP 2.1 guides users quickly and in a focused manner through the process of replacing batteries in all vehicles, ensuring that batteries can be replaced unproblematically even in Start-Stop vehicles or vehicles with an integrated battery management system. Thanks to the new offline function, the device can be used anywhere. We gave the greatest priority to providing maximum flexibility and complete safety in order to ensure that every workshop is able to carry out complex battery replacements. VSSP 2.1 is available now for purchase from numerous wholesalers in your area.” says Gomez finally. Vehicles can be identified very quickly either automatically via an OBD cable or manually via the vehicle identification number or a scroll-down menu. Following vehicle identification, the battery can be tested without direct access and the Start-Stop system or battery management system can be precisely diagnosed. Thanks to the new updated product assignment function, the device can recommend precisely the right replacement battery for every vehicle. Finally, VSSP 2.1 displays in detail all the steps involved in removing and installing the battery, and registers the new battery in the system if required. 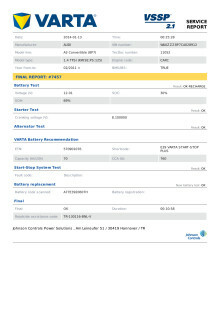 Battery servicing concludes with a printable report of the test results. 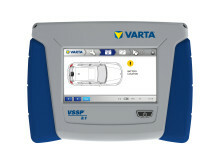 The VSSP 2.1 partner zone at www.varta-automotive.com provides information about current vehicle and battery data as well as market developments. For consumers, Johnson Controls offers a two-year mobility guarantee including a 24-hour hotline and a tow service to the nearest garage.